Click for information why wild brushable mohair yarn colors may not appear accurately online. This wonderful new yarn is suitable for brushing out and styling from a crocheted cap base. 9 Natural hair shades. 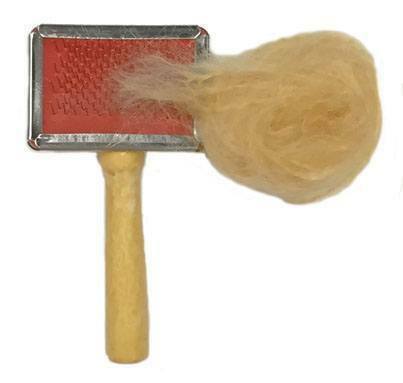 Brushable mohair is intended to be crocheted into a cap, then the fine mohair fibers brushed out to create the hair style. 78% mohair, 19% wool, 3% nylon. 30 gram, 1.07 oz. skein is approximately 54 meters, enough to make the cap. Click to see instructions on making a brushed mohair cap.